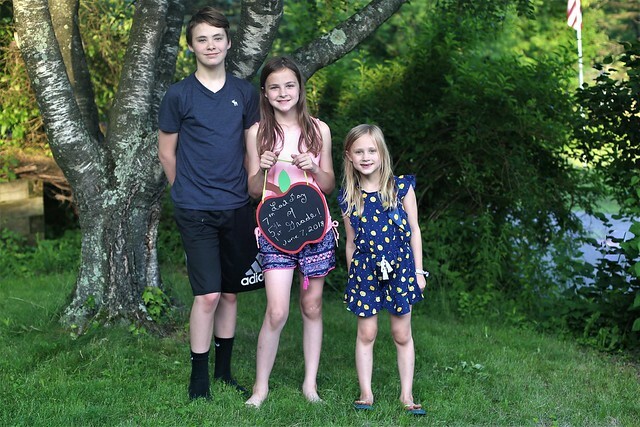 Our Five Ring Circus: School's Out For The Summer! It's official! School's out for the Summer! 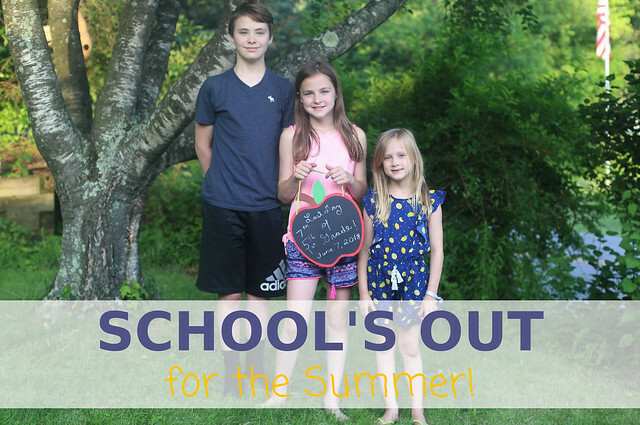 We made it through a busy school year with four kids in four different schools, and all of their sports and activities. The reward is the 2 1/2 months of Summer Break ahead of us! Even though the last day of school was on Thursday, it doesn't really feel like Summer Break just yet. We went straight from a busy school week to a busy weekend, and this week is going to be extra busy because it's dance recital week. We will finally get a break at the end of June! The last day of school was on June 7th. Our district has built in snow days at the end of the year, but we never use more than a few. Last year, we didn't use any, but this year we had such a bad winter that we had a LOT to make up. Even so, the end of the school year came up so quickly! Our last school morning was not an easy one! Dylan had fallen asleep really early the night before, and slept through the night until his alarm went off. He wasn't the least bit ready for his last day, so I had to rush to pack his lunch and get his stuff together while he rushed to get ready. We made it in time, but our hearts were pounding. And then he was off to school for his last day of 7th grade! The girls got to sleep in an extra hour, because I had to drive them to school. It's ridiculous that their bus comes so early when we only live 4 miles away from their schools, but at least they are one of the first stops on the way home! It was an easy morning for Lily other than her telling me she needed a shirt just before we headed out the door, but Lexie was emotional (probably because she didn't want the school year to end), and had a tough morning. She ended up changing her outfit several times, then we tore her room apart looking for a shirt that she had to take to school. She perked up a bit, only to get offended when I told her to quiet down because Liam was still sleeping, and again, when I told her to hold on a minute when she asked me to braid her hair. She ended up sulking when I tried to snap a picture of the girls heading out on their last day, and gave me the silent treatment on (most of) the drive to school. 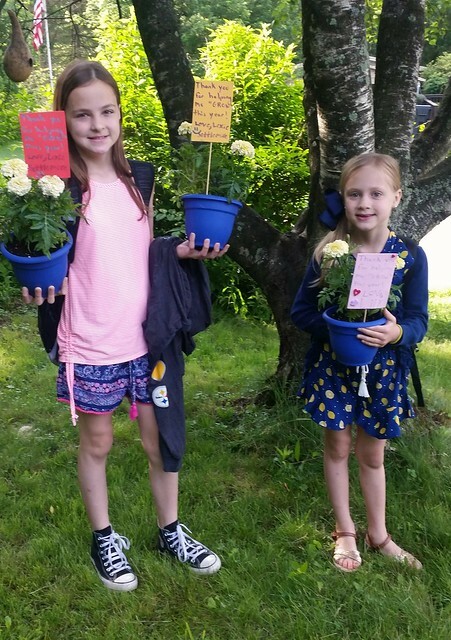 At least the drop off at Lexie's school for her last day of 5th grade and the drop off at Lily's school for her last day of 1st grade (and her last day in the primary center) went well! 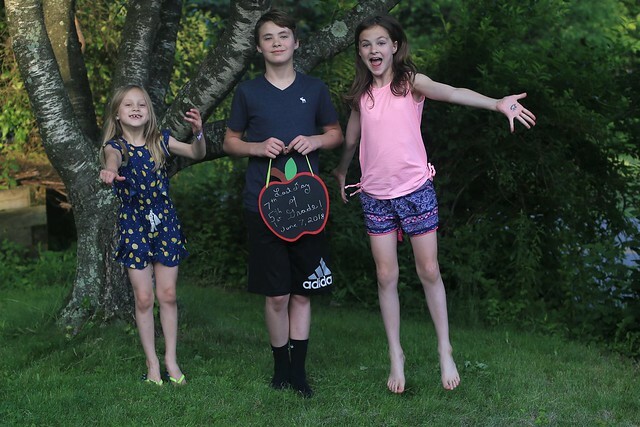 Dylan, Lexie, and Lily had a great last day of 7th, 5th, and 1st grade! Dylan came home first, and he was so excited that school was over! I waited in the backyard for the girls' bus to arrive, and they ran off the bus with all of their stuff (Lexie had a massive garbage bag), and they were both in great moods. They had to take turns showing me all of their end of the year stuff. 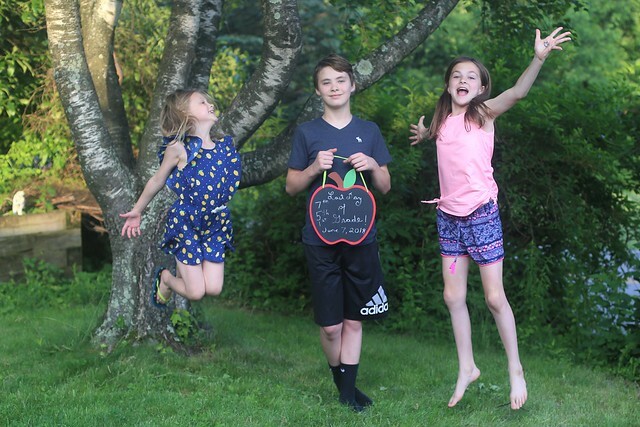 Even though they were bummed to say goodbye to their beloved teachers, a beloved school, and their friends, they were excited about Summer Break! 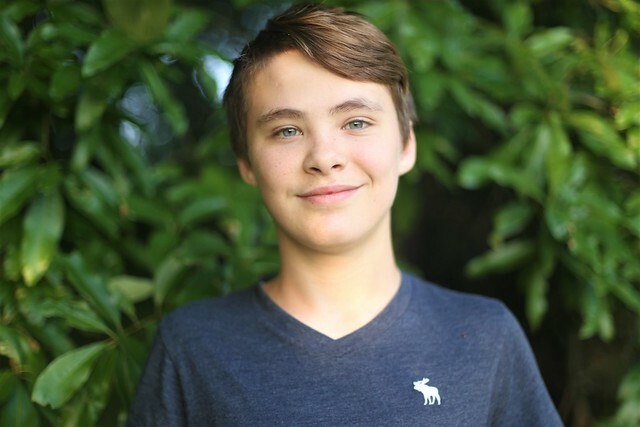 Dylan had a tough time adjusting to middle school, but eventually found his groove! Unlike his sisters, he doesn't love school these days. Playing basketball and sketching is more his thing! This year was a big change, because instead of 2 or 3 teachers, he had 8, and I only met them once near the end of the year at Open House. He really liked them, though! This was the first year of school that felt impersonal. I had no idea what was going on, and truthfully, I'm not a big fan of that. I don't micromanage my kids, but I do like to be involved in their lives, including school. But...I guess this is our new normal! Some standout moments during the year include his chorus concerts, and the Medieval Fair last month. So what's new for 8th Grade in the Fall? He will be in the same school, he's giving up music to pursue art, and he wants to join the Track Team and play basketball. But for now, he will be spending the Summer going to physical therapy for his injured knee, and (gently) playing basketball! There might also be a book or two...mom insists! The biggest change is that Dylan grew so much this year. He is just a 1/2 inch away from being as tall as I am, and looks so much older! 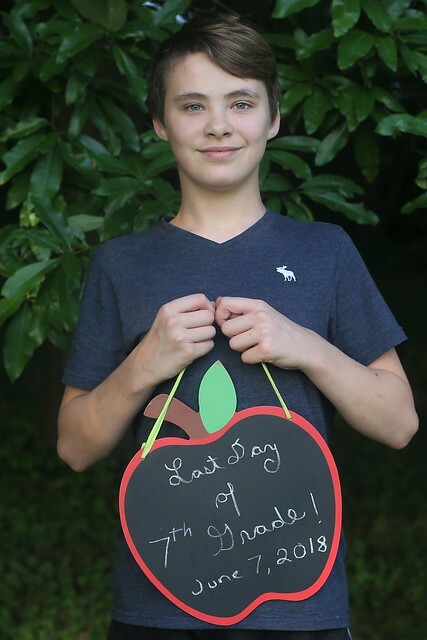 Only one more year of middle school, then I will have a high schooler. Slow down, time!!! Lexie had a GREAT year in 5th grade! 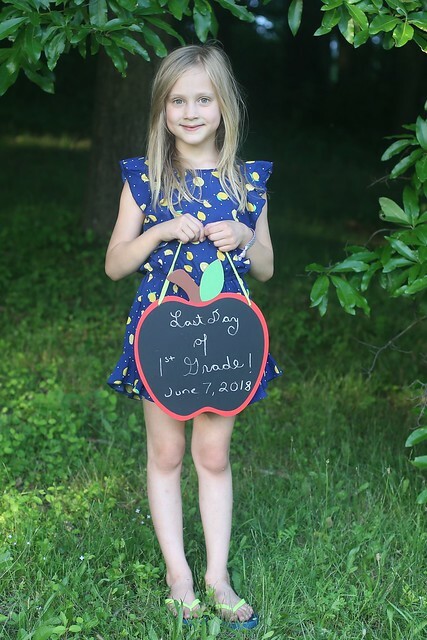 She loves school, and worked hard all year long. She was blessed with two amazing teachers whom she loved, and her best friend, Lexi, was in her class again, which made the year even better. Lexie enjoyed stock market club, and loved playing the flute in band and singing in chorus (which is mandatory for the entire 5th grade). It's evident that she enjoys performing on stage, and we loved watching her concerts! 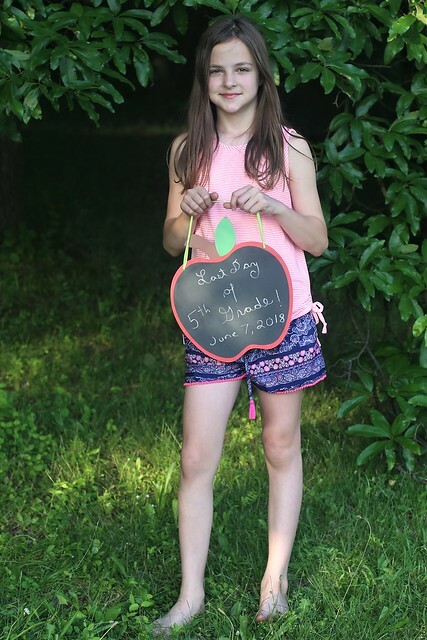 She also liked to help out in the special ed classroom, because one of the careers she is considering is becoming a special education teacher. As for extracurricular activities, she started soccer this year, and she really liked it! 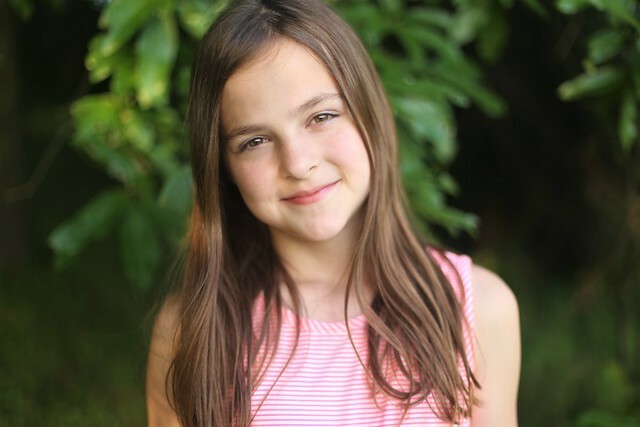 In the Fall, Lexie will be in 6th grade at the same school that she attended this year. 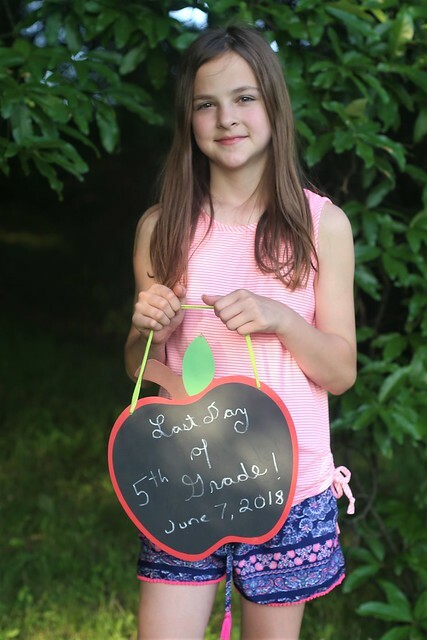 Her switch teacher is moving up to 6th grade, so she's really hoping to get her for her teacher again (and of course hoping Lexi is in her class for the third year in a row)! She plans on continuing with band, and chorus is mandatory...she would do it even if it wasn't, because she loves to sing! She will also probably be returning to soccer, despite her lack of experience. I can't believe she only has ONE more year until she moves up to middle school. I just want to hold onto my kids as tight as possible this Summer to keep them from growing up so darn fast! Farewell, 1st Grade (and Primary Center)! Just like her older sister, Lily loves school! She, too, was blessed with a wonderful teacher, and she worked so hard this year, despite being the youngest in her class again. She received some extra help with reading, and by the end of the year, she was reading chapter books! 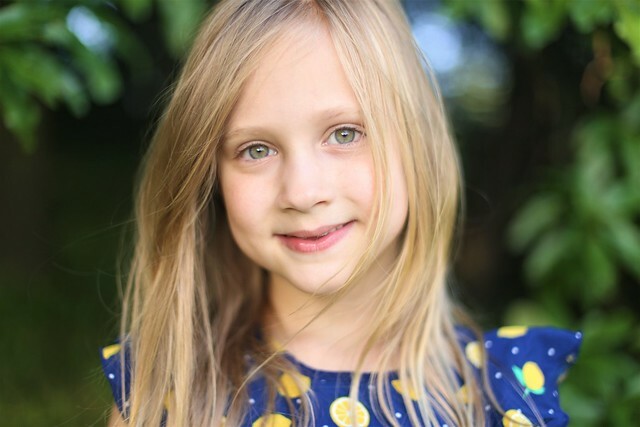 There aren't extracurricular activities at the primary center (she took Jazz, Ballet and Acro outside of school), which houses Kindergarten and 1st Grade, but there are plenty of events. I got to join her for her book fairs, holiday store, read to her class, eat a Thanksgiving Feast with her, picnic on the school lawn with her, and more. We made some great memories at that school, and Lily captured the hearts of the staff thanks to her sweet, bubbly personality! 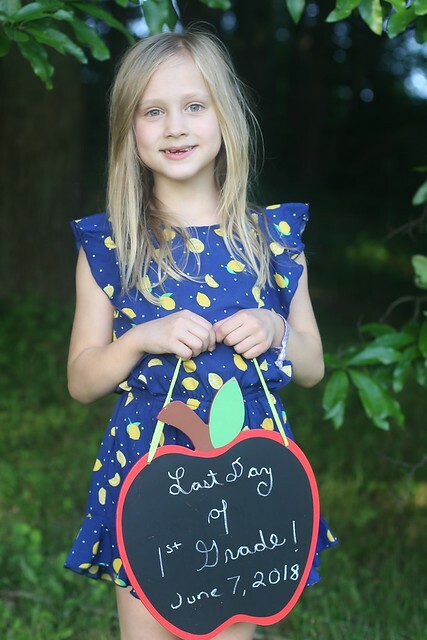 In the Fall, Lily will be moving up to the Elementary School building for 2nd Grade. She will be continuing dance and probably playing basketball. Lily and I are both sad to say goodbye to the school that she loved so much these past two years, but it's time to move on up. She is nervous about the big change in the fall, but she's outgoing, confident and independent, so I know she will adjust beautifully! Liam's last day of preschool was two full weeks before his siblings were done! 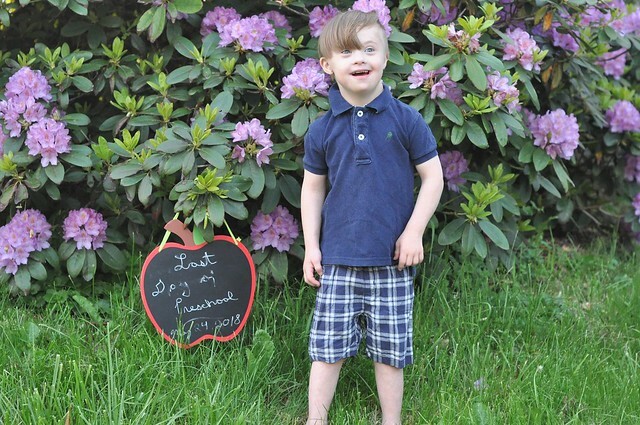 He loves going to school to see his teachers, therapists, and friends, and he really started talking more this year. 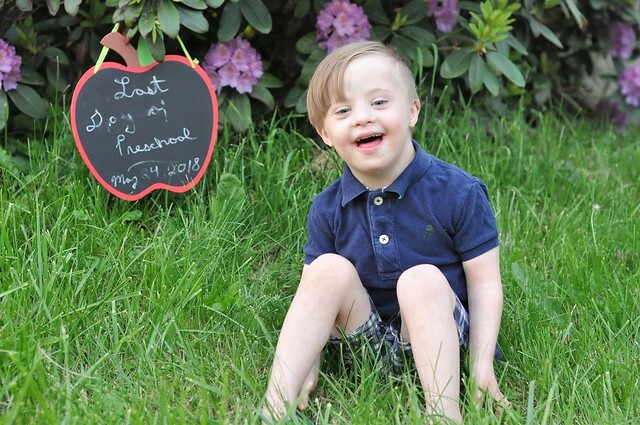 His last day was fairly underwhelming, because he would only have a few weeks break before returning for his first session of Summer preschool. 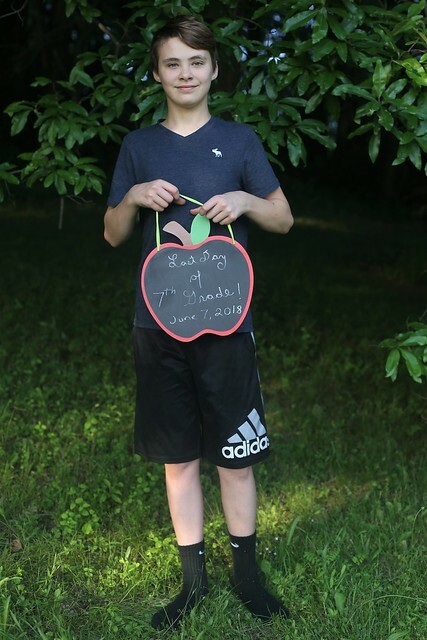 Although summer is more laid back, he does attend school for a week in June (3 afternoons), a week in July (3 afternoons), and a week in August (3 afternoons). 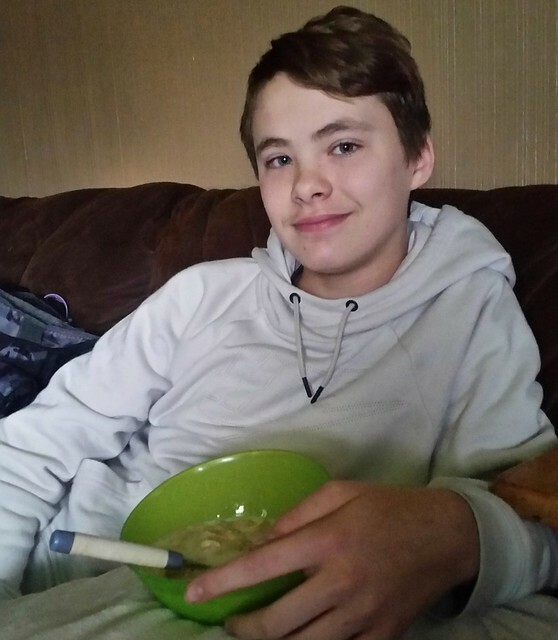 During those weeks, he receives his occupational therapy, physical therapy, and speech therapy. We have never taken Liam to private therapy, so it's nice that he is able to still receive some services over the Summer. Liam's plan for the fall is still undecided. He is eligible to start Kindergarten, but he will be the youngest in his grade due to his late birthday. His spot in the preschool program will also be held until we tell them otherwise. 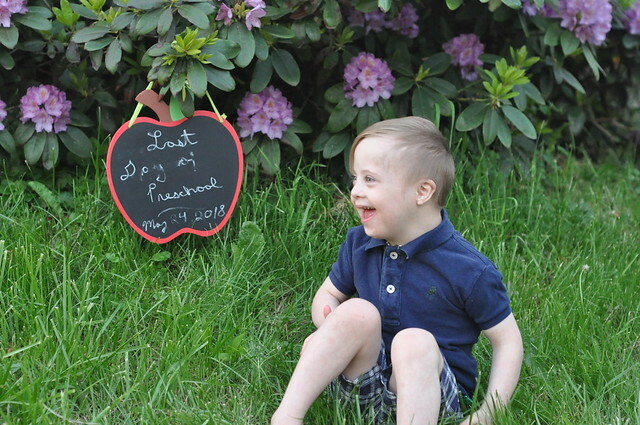 During his IEP meeting the day after preschool ended, his team said he was ready and would thrive in Kindergarten, but another year of preschool would definitely help, too. SO...we're going to see where he is at the end of Summer and then make our decision! 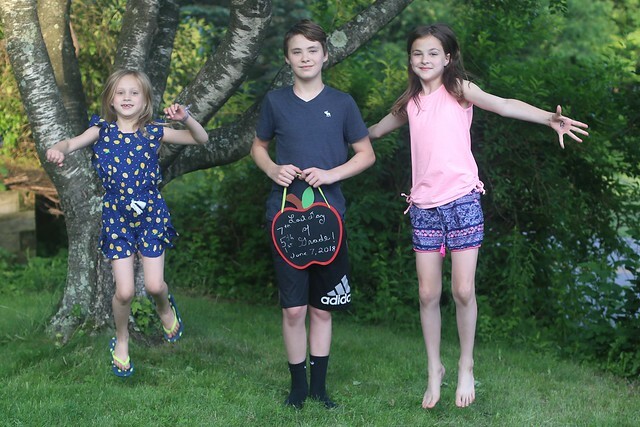 Each of my four kids had a successful school year, and made so many great memories along the way. It's always bittersweet to say goodbye to people you love and places that you enjoy so much. When school starts in the Fall, everything will be new and different. I will be missing my babies, and they will be missing their previous teachers, schools, and friends. I know they will adjust quickly, and I will most likely find myself writing a similar post next year! We have been blessed with wonderful teachers, therapists, staffs, and schools that help my kids so much on their journey. It truly takes a village, and I'm thankful for mine! And...that's a wrap for 7th Grade, 5th Grade, 1st Grade, and Preschool Year Two! 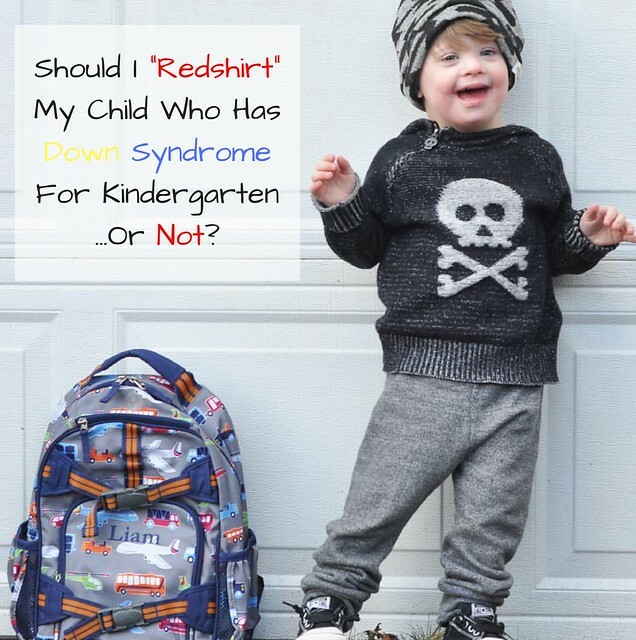 Should I redshirt my child (who has Down syndrome) for Kindergarten...or not? Congrats on great years for all of your kids. I have a "rising" 8th grader who is already taller than me! I can't believe how fast they grow! He will definitely pass me up by the end of Summer! Woo hoo, you made it to summer!! I hope y'all enjoy! WooHoo!! Let the fun begin! Hopefully we can enjoy some downtime, too! yaayyy for summer starting- not going to lie, a little bit jealous!! I hope you get to enjoy Summer Break soon!